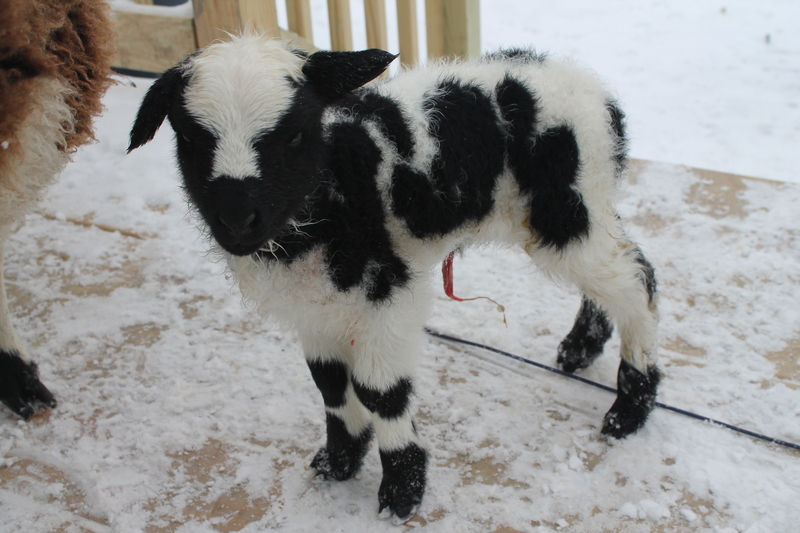 Ivory as a yearling – you’ve come a long way, baby! 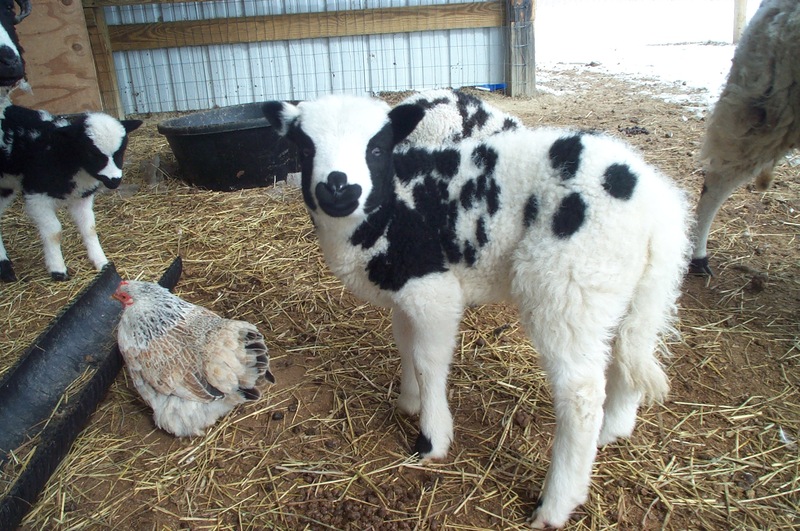 Ivory came from Painted Rock Farm along with Mayapple quite a few years ago. 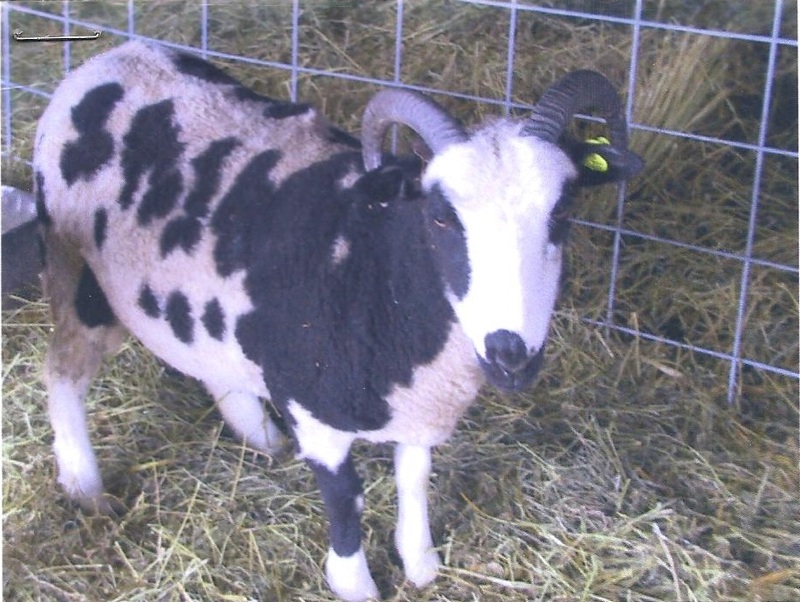 She is the daughter of Puddleduck Cascade – a handsome old ram who sired many nice lambs and has quite a few registered decedents, including Ivory. 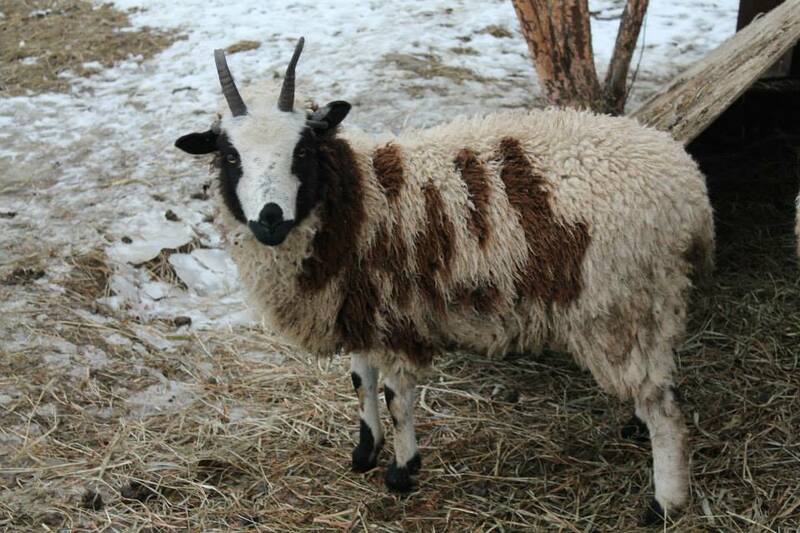 Ivory is one of those ewes who might not look like much to someone else, but she is one of my favorites – especially when it comes to production. 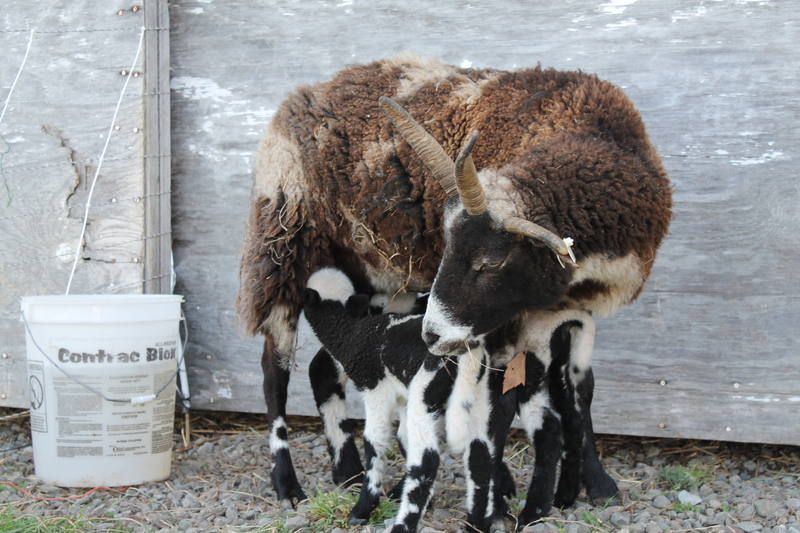 She almost always has beautiful twins and raising them exceedingly well without dropping an ounce of condition herself. 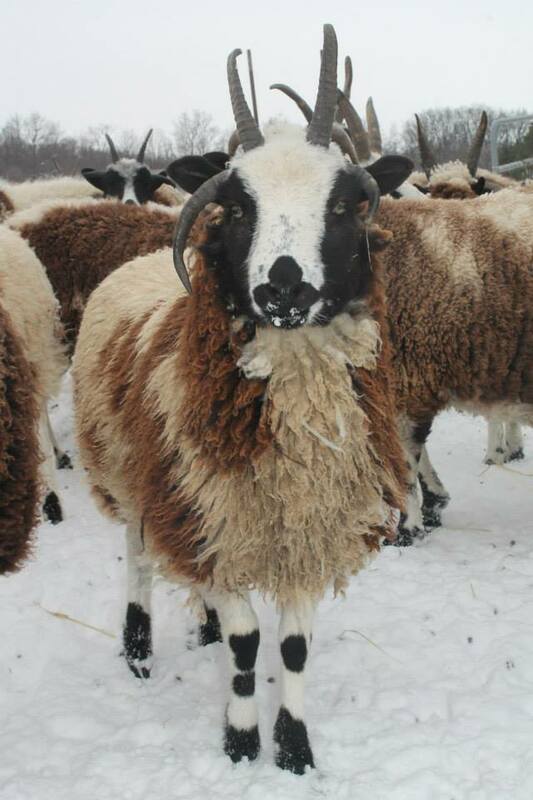 Ire, one of Ivory’s 2013 twin ewes. 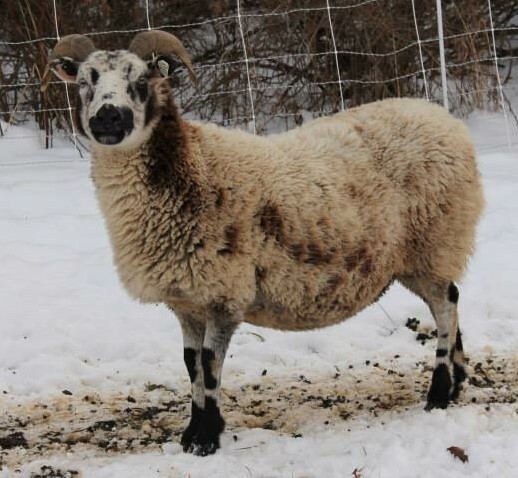 Ivory is almost the most obsessive mother I’ve ever seen – if you pick up an Ivory lamb you know almost immediately, because she will come running and stand on your feet until you give it back to her! 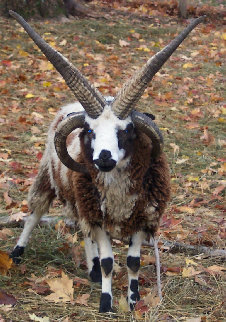 Even if that lamb is a 3 month old (independent) monster – Ivory will leave her grain and come bawling to have it back. 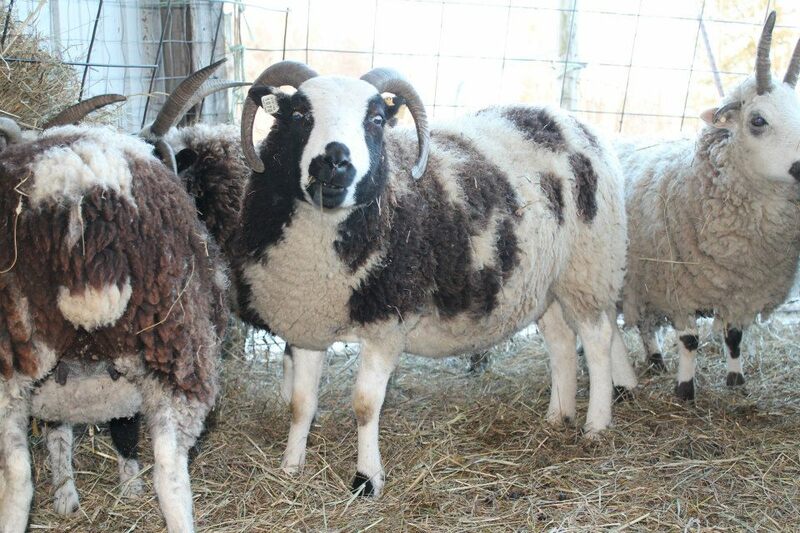 Ivory and her 2008 twin ewes (she seems to have alot more ewes than rams). Another interesting fact about Ivory – she has never been wormed before. 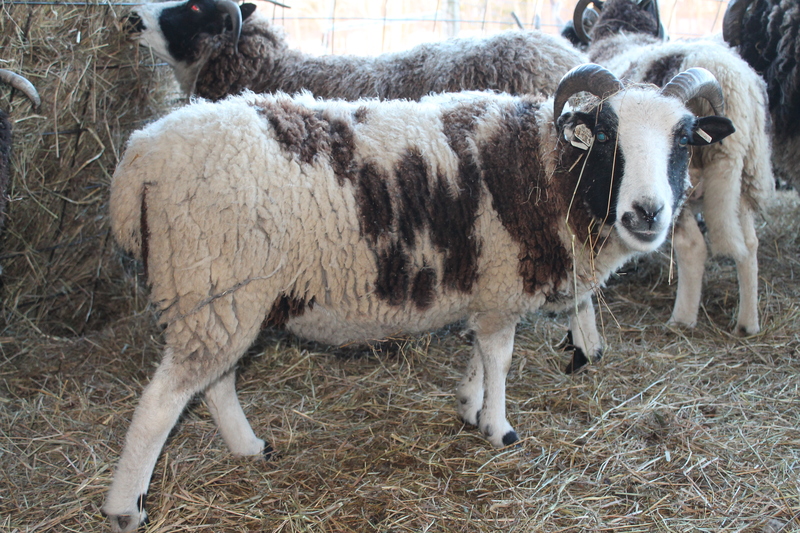 She is 10 years old this spring and has never looked better – to be honest, I’ve never seen her without her trademark table top back – her lambs always follow suit. 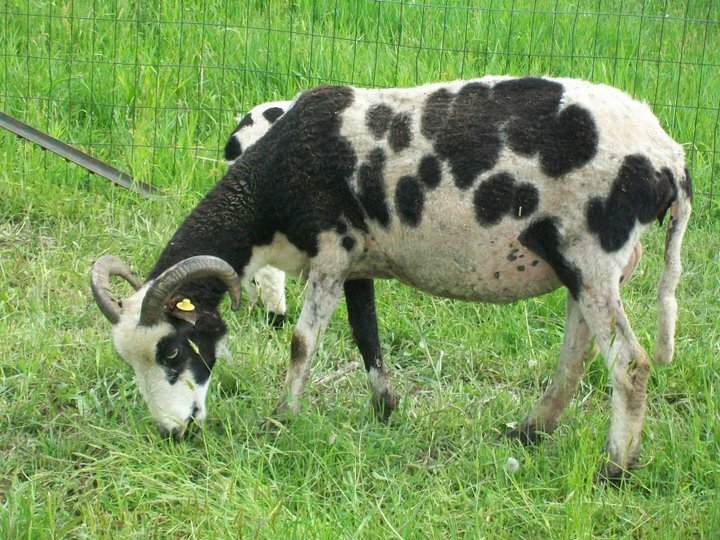 Ivory on pasture in January at 9 years old (almost 10) – looking plump as ever. 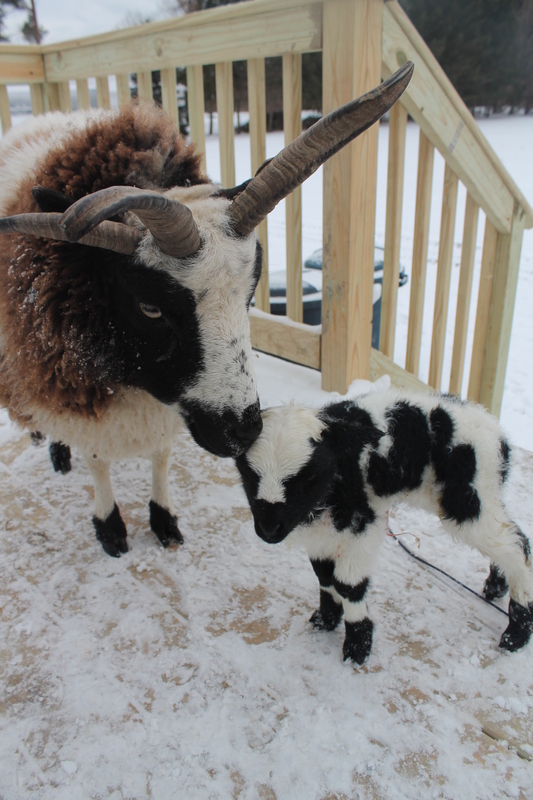 Aphrodite was born on Valentine’s day, to my first Jacob ewe, Athena. 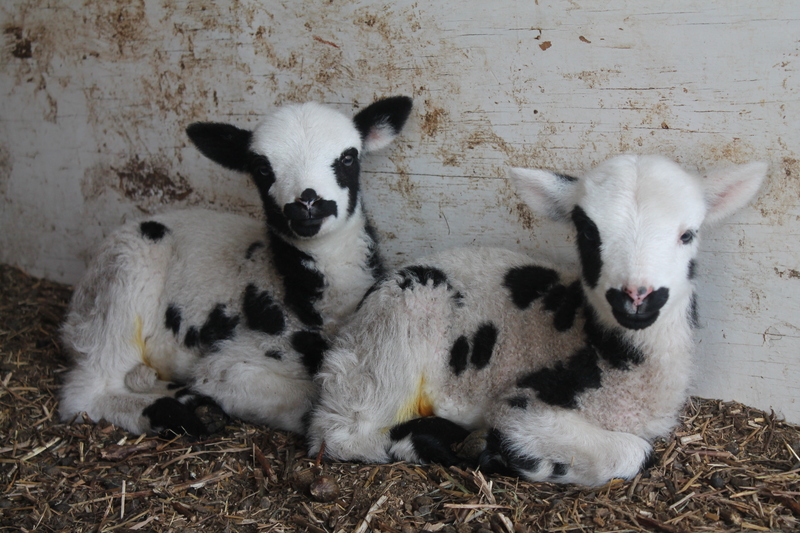 All of Athena’s lambs are named after Greek mythological figures, and since “Aphrodite” is the name of the Greek goddess of love, it made an obvious name choice for a lamb born on Valentine’s day. 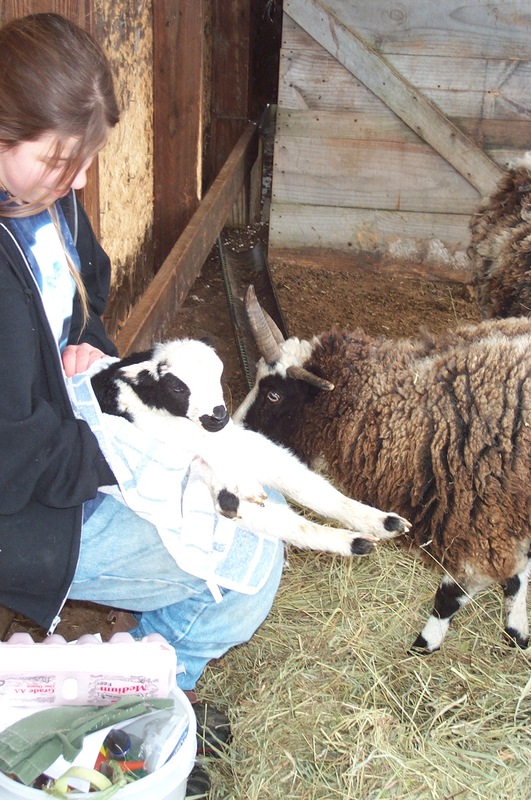 This is a picture of the day Aphrodite was born – it was my third lambing (second at my farm), I was almost 14 years old at the time. 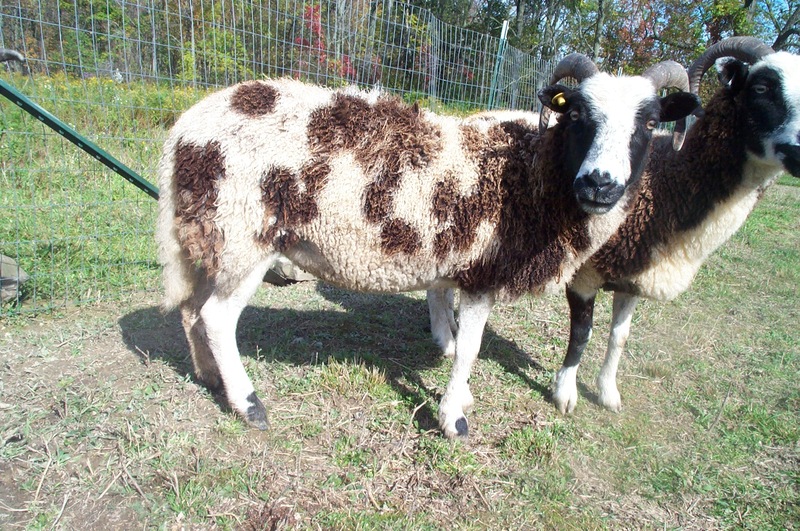 Aphrodite was born with a hair type coat (still Jacob-y, just mostly wavy hair), which she outgrew after her first shearing. 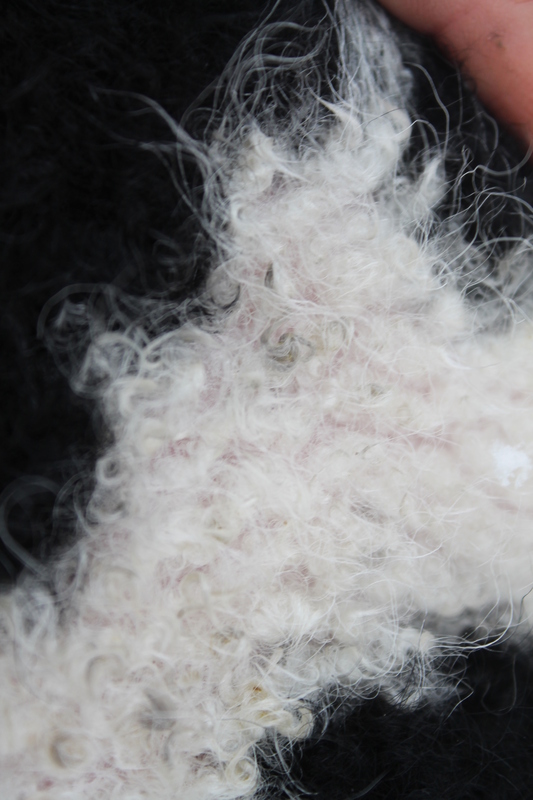 Almost all of Aphrodite’s lambs have had this very primitive hair type birth fleece and later shed out. 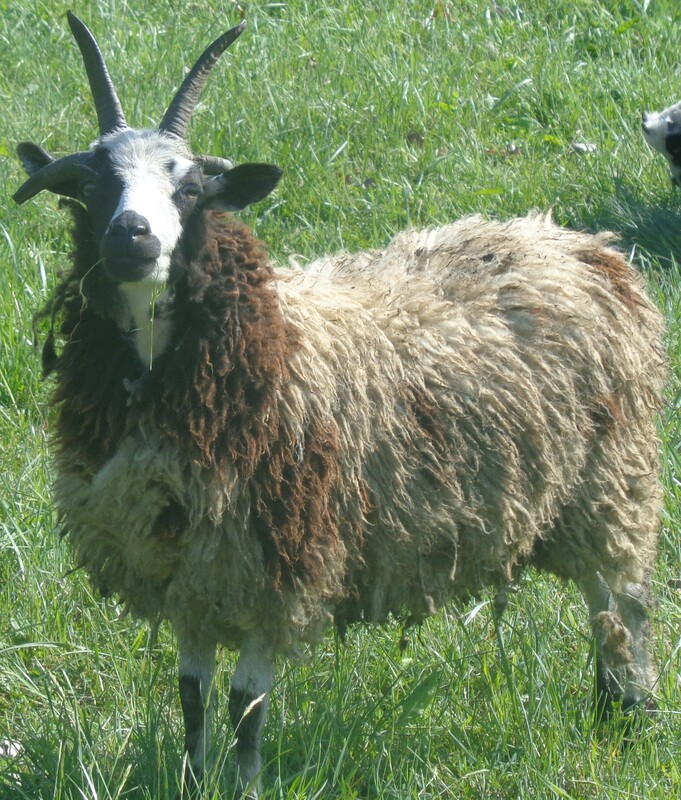 I believe Aphrodite got this primitive trait from her sire, as he had a very primitive fleece type – shedding out belly wool partially when left too long and developing a ram beard/mane in the fall. 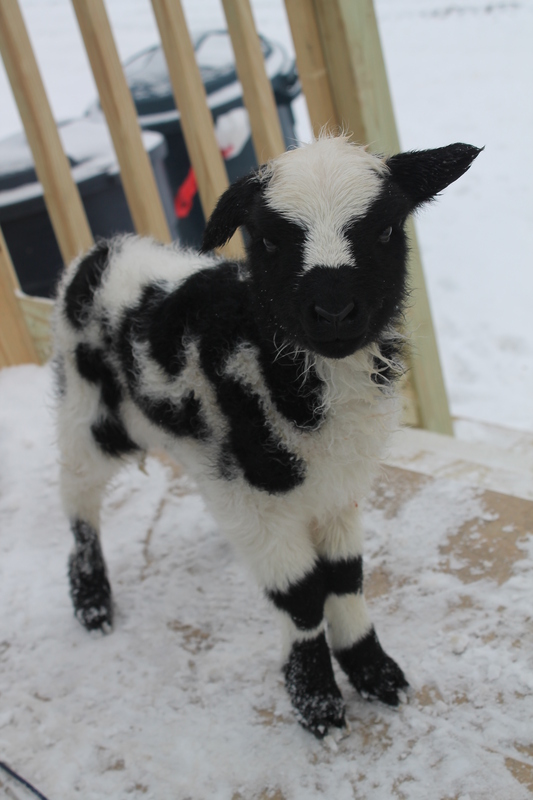 Aphrodite at one week old – she’s come a long way! 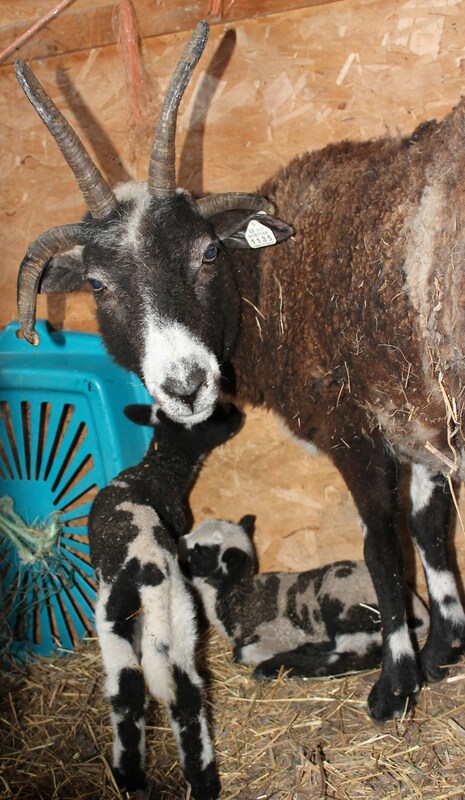 Aphrodite nursing her twin ewes from 2013 – she is such a good mamma! 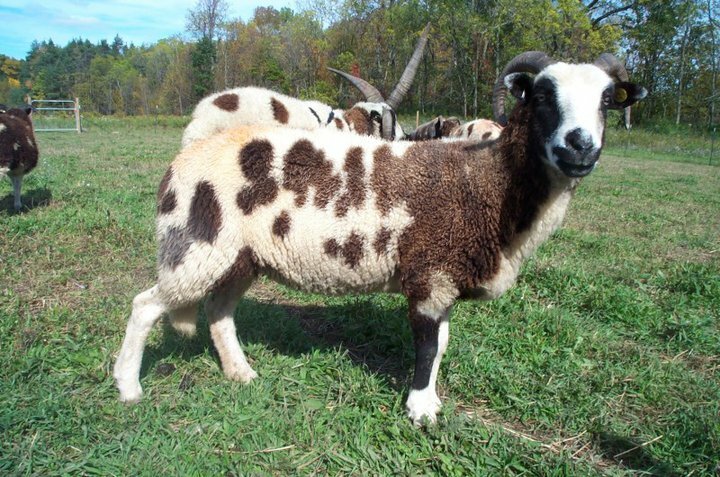 Aphrodite is the oldest of Athena’s daughters (there was a single ram and a single ewe before her). Aphrodite turned 8 years old today (Happy Birthday Aphrodite!!!). 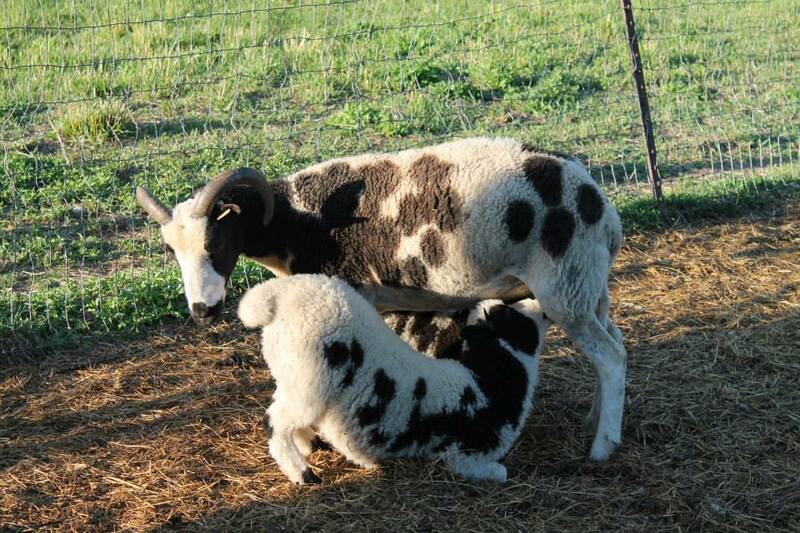 She is an excellent mother, usually having twins and raising them well on pasture alone. 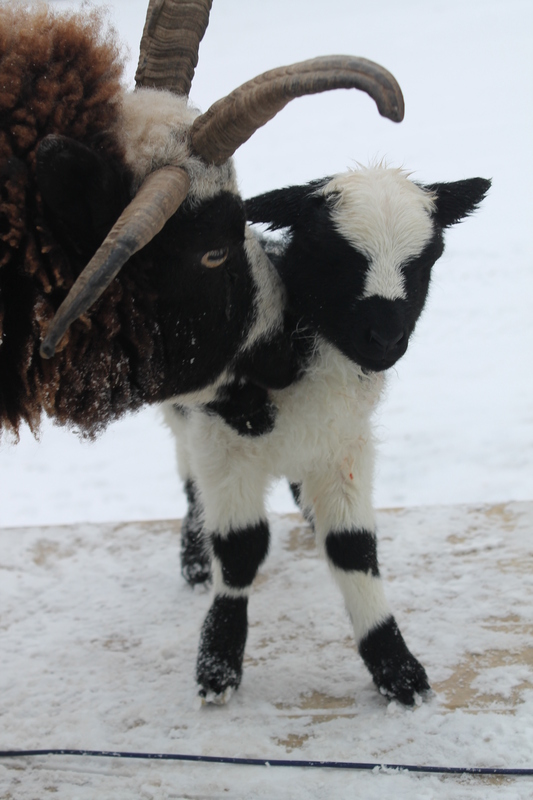 The new lamb is a little ewe, her sire is Chase. 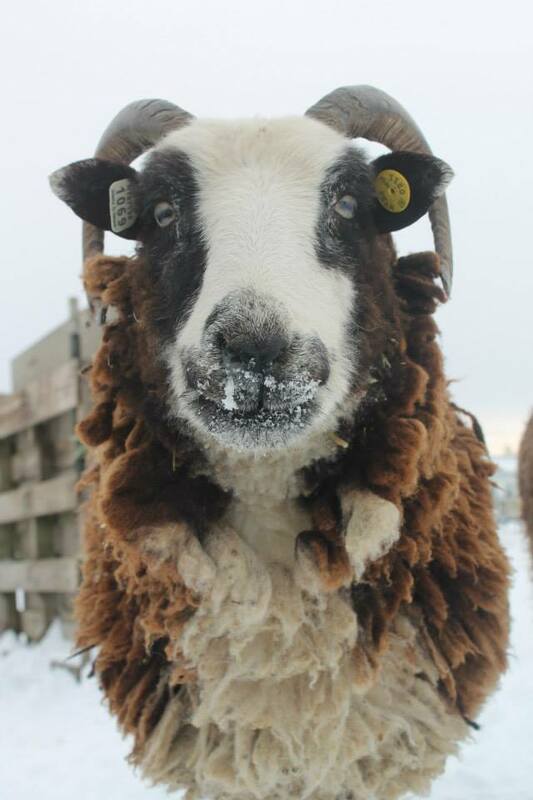 She has a very primitive hair “halo” which keeps her warm and safe from the weather, but underneath she has supersoft fleecy curls. She is the poster child for Jacob hardiness 🙂 Her coat is covered in icicles, but she is nice and warm anyway. Artemis had to walk all the way home next to the tractor because it was too cold for the truck to start. 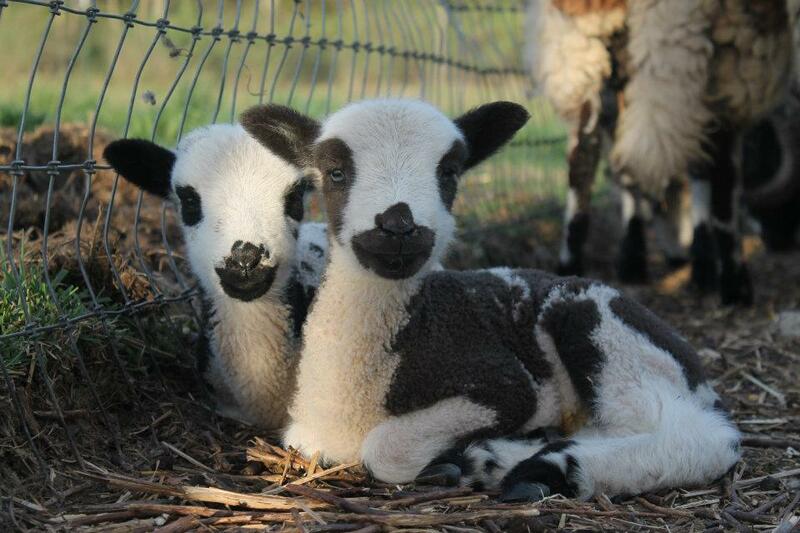 She followed her lamb for over a mile down the road. She is such a good momma! 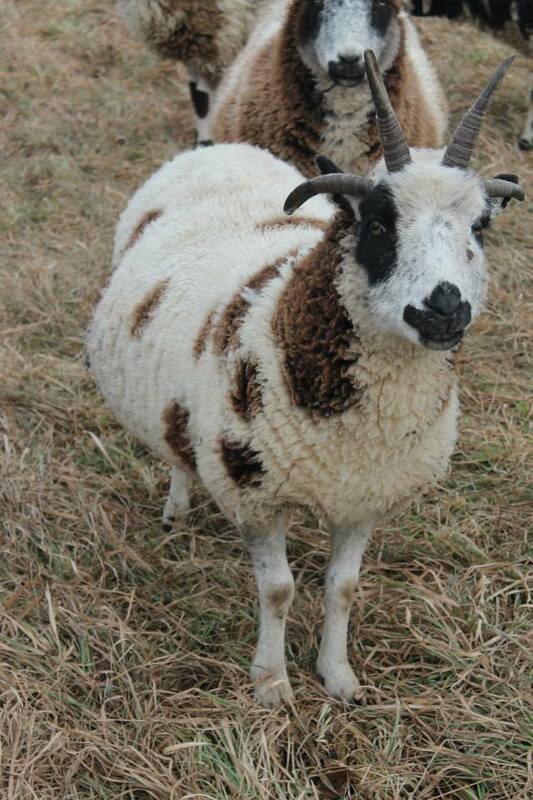 Gabrielle is a short, stout, 2 horned ewe from New Jersey – the Brink-May flock, specifically. Her full name is Brink-May Lady Gabrielle. 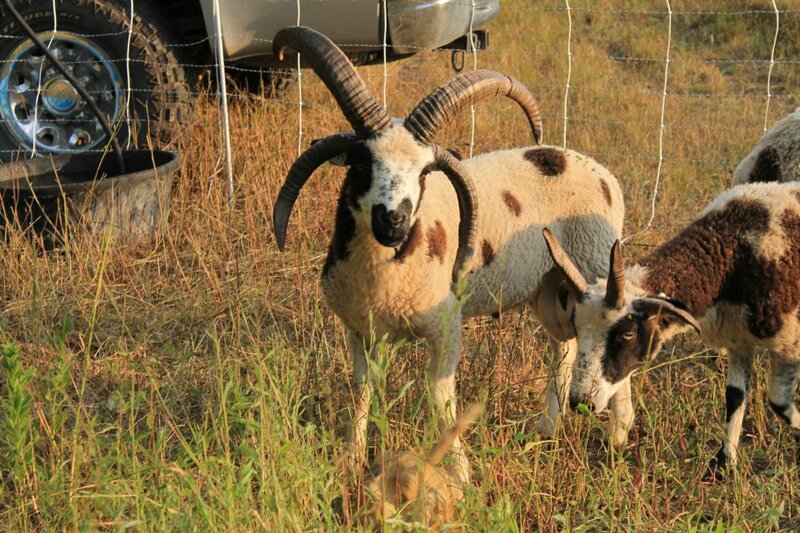 While at the festival, I also purchased a ram lamb named Timber (his horns ended up being too forward and was later culled) to keep Gabrielle company on the way home (he also later sired Gabrielle’s first lamb). 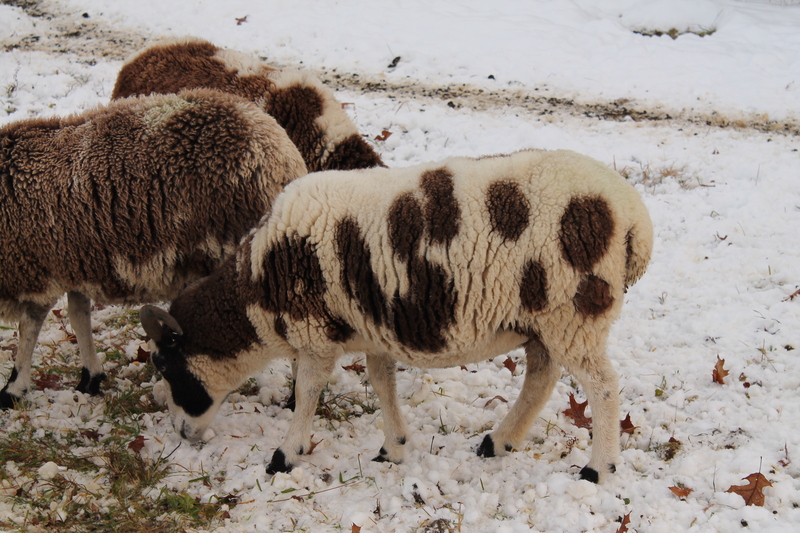 After the festival, we stayed over for one more night at our friend Ann’s house with the sheep. 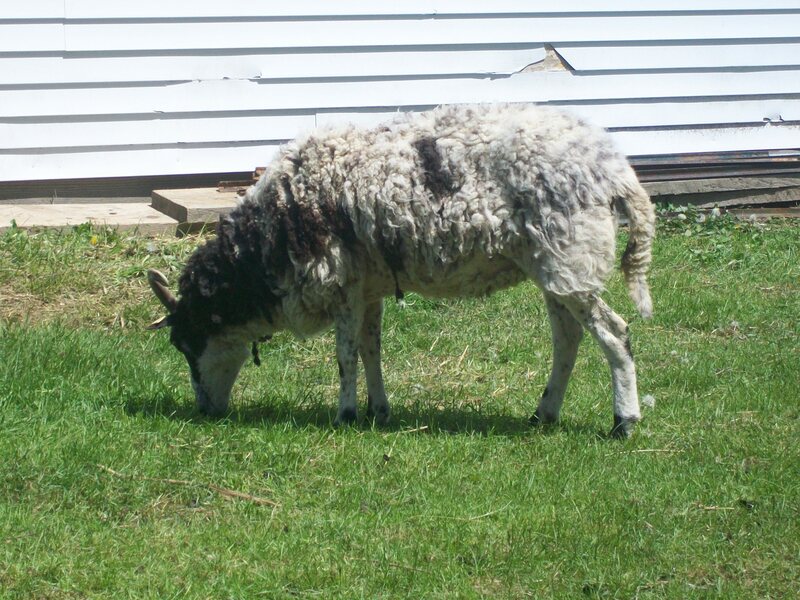 Ann graciously offered up her home, lawn and shed for us and our sheep, they were quite a sight in the middle of a suburban neighborhood! We didn’t know Ann before the trip, but I’m so glad we met and I look forward to staying with her and her family every year. Ann and my mother were la leche league leaders together and knew each other over the internet, when Ann heard we needed a place to stay near her, she offered. 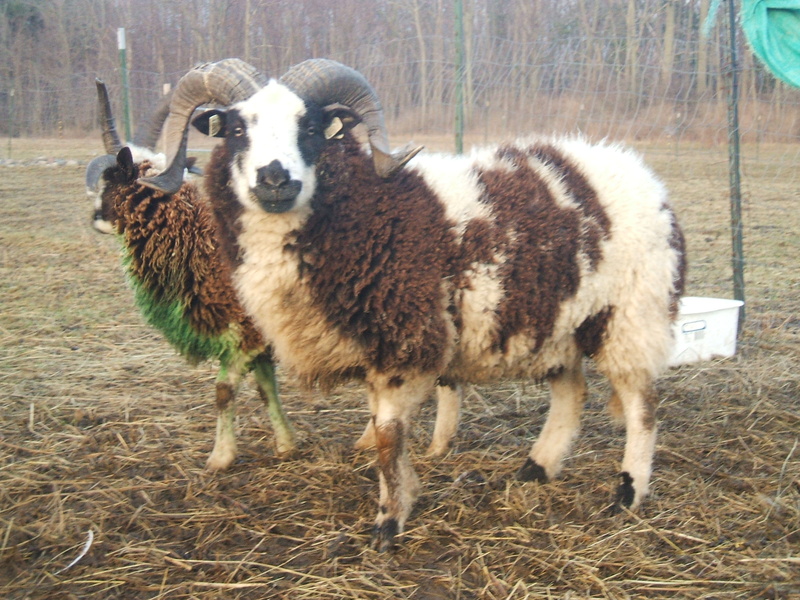 Gabrielle had a large single ram lamb by Timber the following spring – he was an overly large ram lamb with huge horn buds and Gabrielle needed a little help. 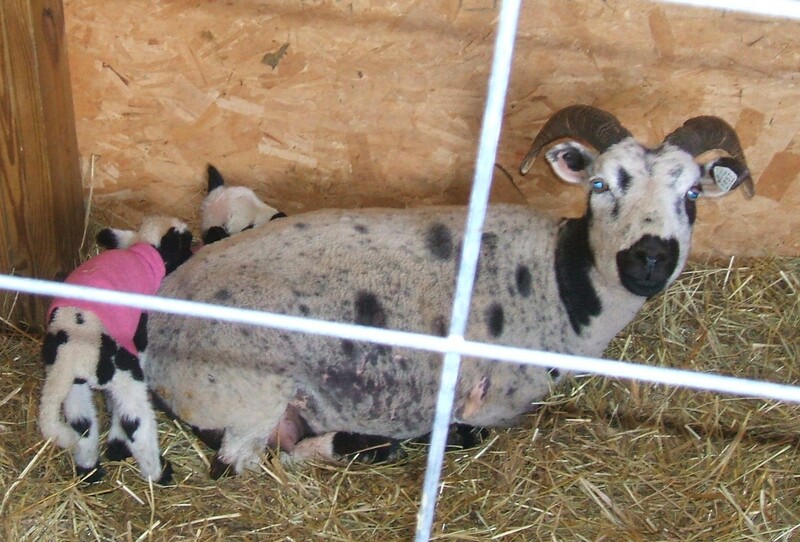 Since then Gabrielle has had many lambs for me and has proven to be a wonderful mother. 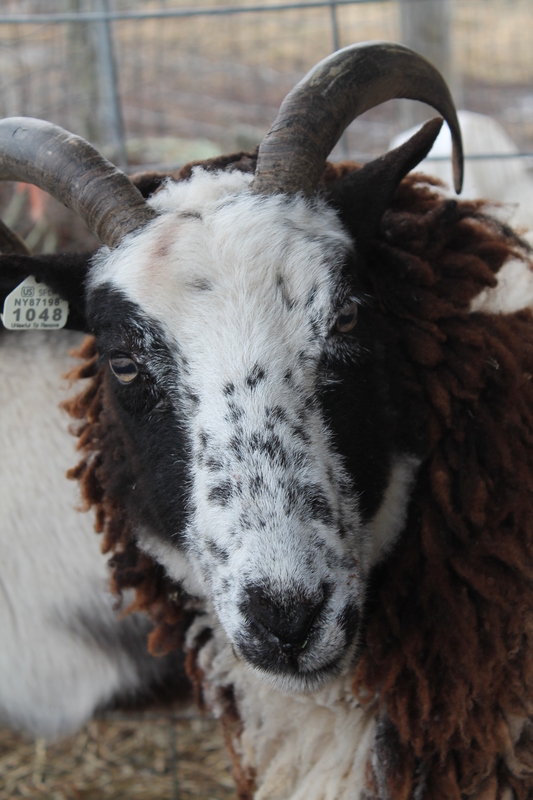 She is also a very friendly, easygoing ewe, often one of the first to come say “Hi”. 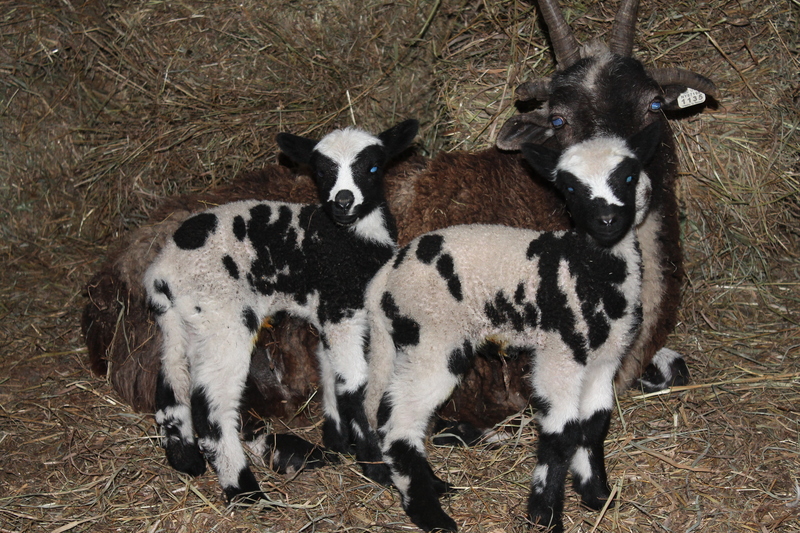 Her first twin ewe lambs were named Eleanor and Iona, after Ann’s two daughters. Bellow is Iona, one of the twins. 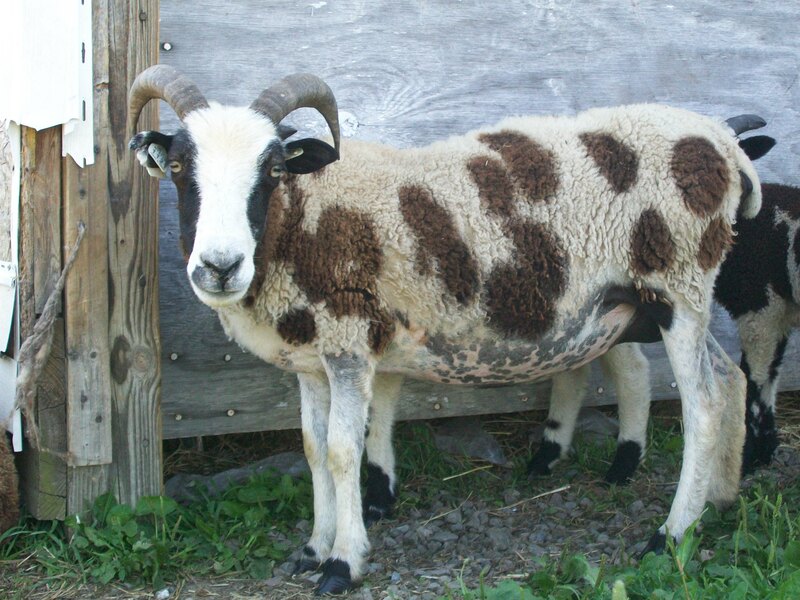 she got her name from the person who gave me my first Jacob sheep. 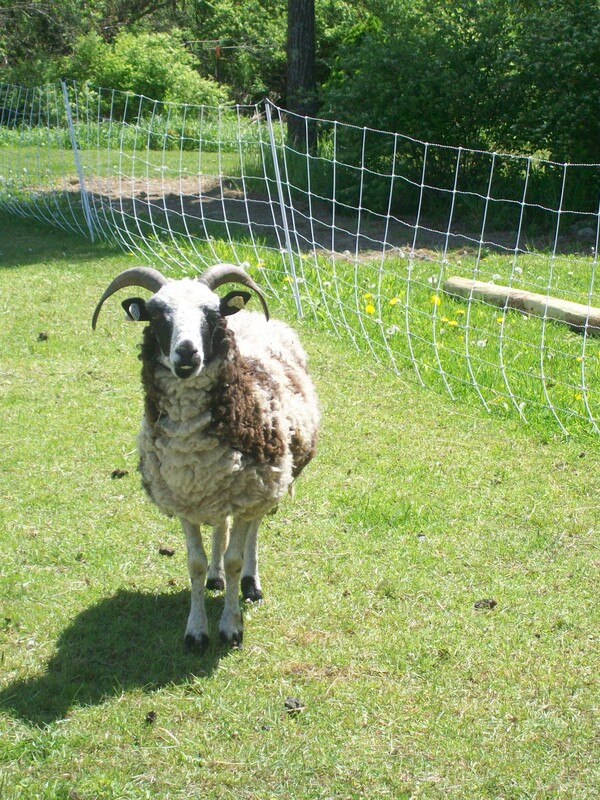 We got Vanessa in the summer of 2004 in a trade for a ram lamb, along with her sister, Georgia and Georgia’s daughter, Myra. 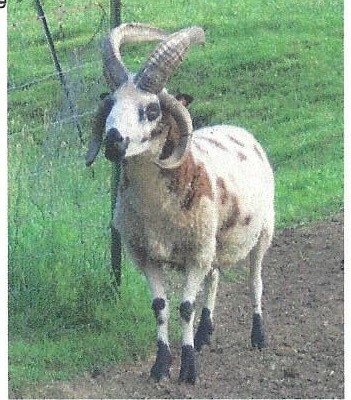 I had seen an ad listing 3 Jacob ewes for sale or trade on the local feed store “For Sale” board – I took the number down and contacted them, thinking that I could trade Victoria’s ram lamb, William (who was too dark to register), for one of their Jacob ewes – if they appeared to meet the breed standard. 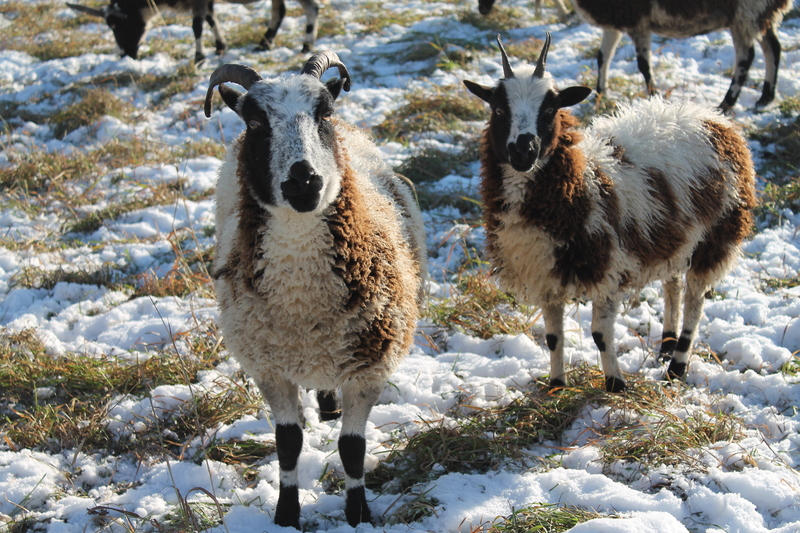 We went out and looked at the ewes – the 2 older ewes (Vanessa and Georgia) were both 2 horned and appeared to be twin sisters (the owners thought they were, but weren’t sure, as they had bought them from someone else), they also met the breed standard. 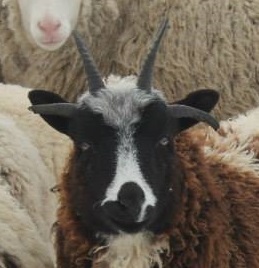 The third younger ewe (Myra, Georgia’s grown daughter) was almost all black, with 2 strong horns and 2 scurs – she appeared to shed as well. 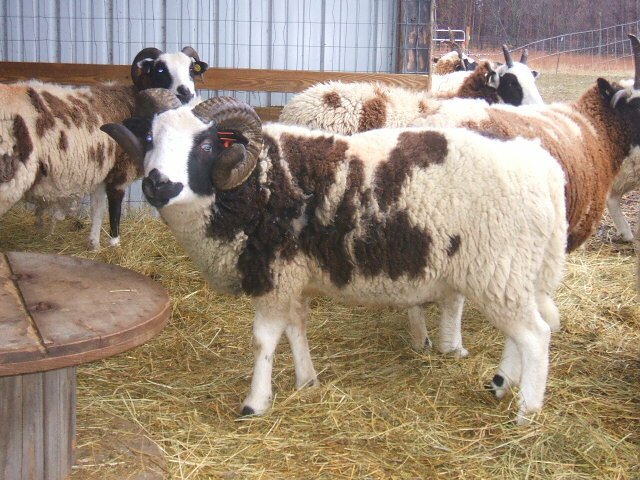 The current owners told me that they would really like to sell of these ewes as they were trying to reduce their numbers, so they offered me all 3 ewes for William, my ram. Vanessa – the year after we got her. 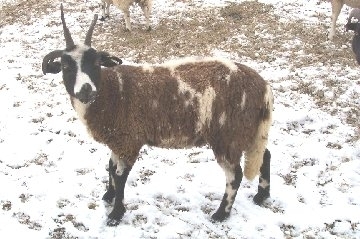 Both Georgia and Vanessa went on to produce many beautiful offspring, all of which fit the breed standard. 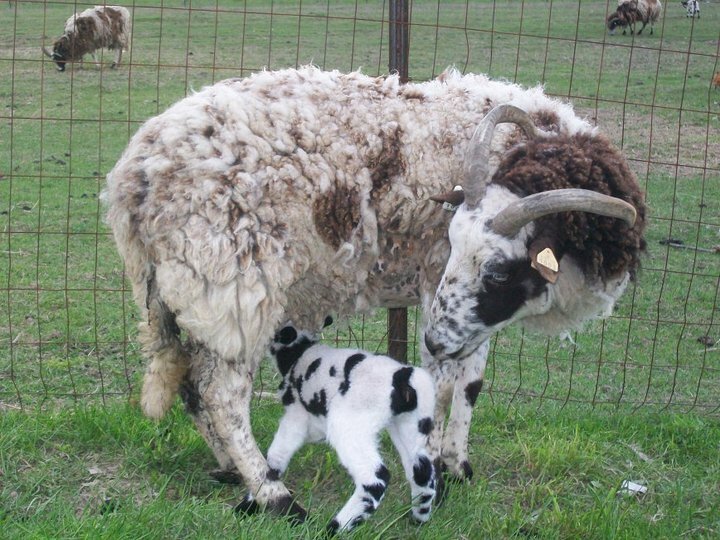 Myra produced a couple lambs (including a ewe lamb born during hurricane Katrina in the fall), before we lost her to pneumonia. 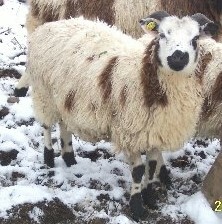 Georgia died of old age a few years ago, but Vanessa is still producing lambs – we estimate her age to be around 14 years old (the previous owners weren’t sure on her age, she was at least 4 when we got her though). 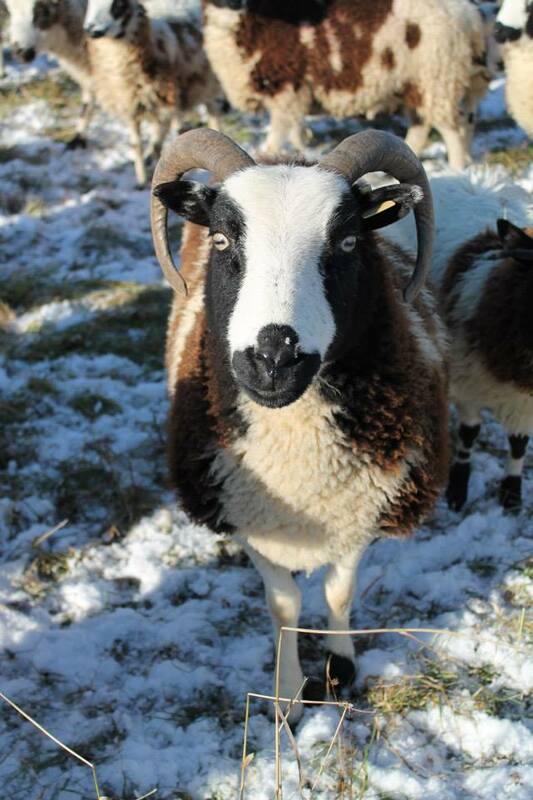 Vanessa has several daughters and a granddaughter in the flock currently – I hope Vanessa passes on her hardiness, longevity and primitive traits! Pictured below is one of Vanessa’s daughters, Anastasia, and her daughter (Vanessa’s granddaughter), Kennedy.